Attracting wildlife to your yard is fun and exciting. Providing clean water features in your yard not only attracts birds but may attract amphibians too (they help control unpleasant bug populations.) Having a variety of shaded and sunny areas is important for the vibrant life and protection of wildlife. 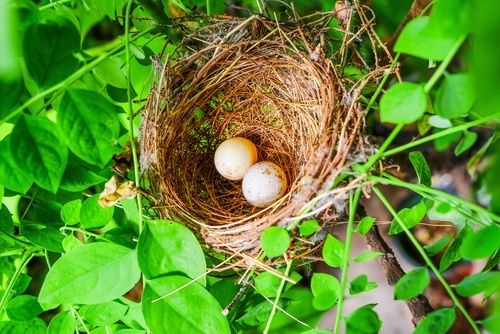 Providing plants in your landscaping that have nest making materials also helps to attract wildlife. Finally, planning a yard that has different types of plants laid out in a varied pattern encourages pollinators to circulate throughout your yard and gives them many places to establish habitats. If you do include a mud area in your water feature, be sure to provide materials for bees and butterflies by mixing in a little sea salt or ashes into the mud. Sunny areas are very important to wildlife, but you want to make sure that you also provide partially and mostly shaded areas also. Creatures use the cover from the shaded landscape for protection in inclement weather. You can get very creative in planning the types of plants you provide in your yard. Native plants often have more pollen. Providing plants in your landscaping with colorful foliage attracts birds and bees for pollination. It is important to provide a wide variety of plant material on your property to attract many different kinds of wildlife. Be aware that you may have some plant damage if you want to attract animals and insects, they feed on certain types of plantings.